This was a helpful article. 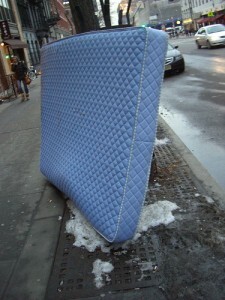 It reminded me that my wife has dropped more than a few hints about replacing our 15 year old mattress! I’ve dreaded actually doing it, but you give some good advice that may make things easier. Thanks! An almost completely useless article, go to a store you trust, you get what you pay for…that’s your advice? If you don’t know that much you should shouldn’t be in charge of buying anything.